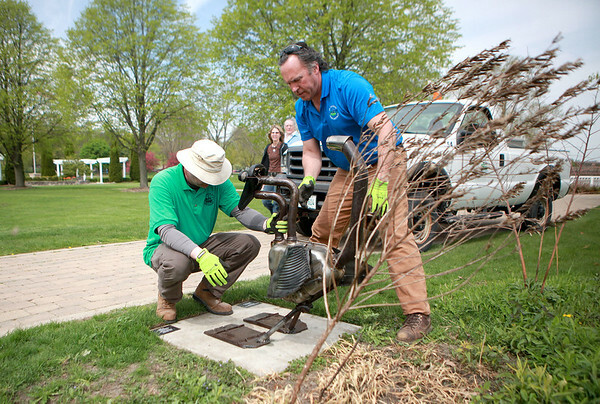 Chuck DuPuis (left), assistant construction supervisor for the St. Charles Park District and John Kish, construction supervisor, work in installing the sculpture Iron Aviator by artist Jennifer Meyer of Lansing at Mt. St. Mary Park in St. Charles. The 12th Annual Sculpture in the Park Exhibit features 12 sculptures by 10 artists from all over the country.